Painstakingly designed with a unified color scheme and an elegant patterned back, the new stylish Samsung Galaxy Nxt J7 is all set to attract everyone in the surrounding. Samsung Galaxy J7 Nxt is designed with large 13.95 cm (5.5”) HD sAMOLED display that gives immersive viewing experience. With its advanced 1.6GHz Octa-Core processor and 3 GB RAM, the device gives excellent performance. Go trendy with the digital payment process of Samsung Galaxy Nxt J7 that is developed with Samsung Pay Mini which is fast and secure to make online payments. Fed up of searching a product that your friend/colleague wore yesterday then try its Samsung Mall where you can find the product that you have fantasized with just one snap through myriad options to explore multiple shopping sites. Get the real delightful experience with Android Nougat that makes you feel everything seamless starting from multi-window support to all new emojis and directly replying to notifications. Now you can get excellent shots that are filled with vibrancy and color with Samsung Galaxy J7 Nxt‘s powerful front and rear cameras that are designed with LED flash along with rear F 1.9 aperture lens. Use its beauty mode to offer a glamorous touch to your portraits. 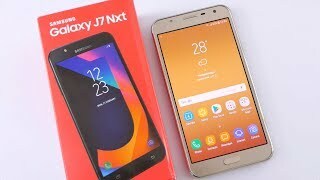 Samsung Galaxy J7 Nxt is a perfect smartphone that comes all powerful by combining beauty and usability. Focus on yourself by turning your selfie into a portrait by adding a bokeh effect. The 3000mAH lithium-ion battery offers good battery backup.